Cleansing water I have ever tried. And yes, it’s better than the Bioderma Sensibio Micellar Water. 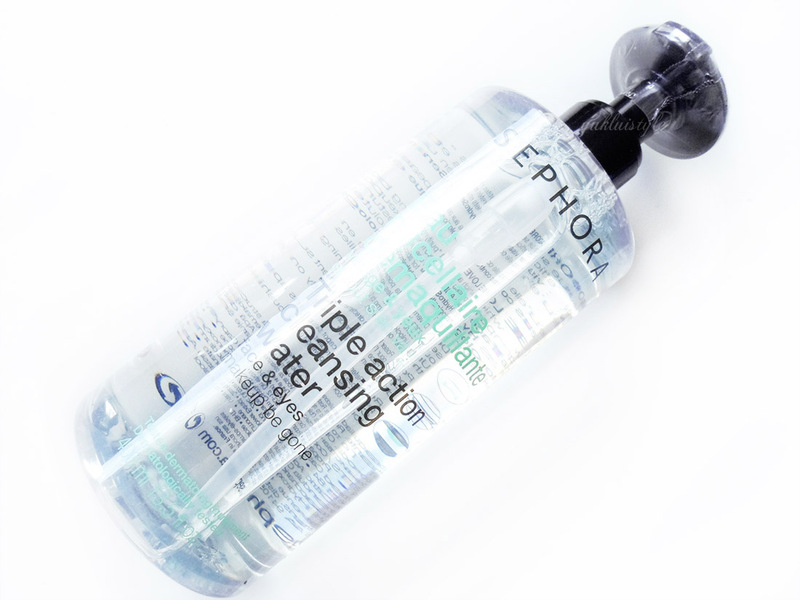 Sephora Triple Action Cleansing Water comes in two sizes, 200ml and 400ml. The 200ml is your standard bottle whereas the 400ml has this pump where you place your cotton pad, press and ta-da, cotton pad is ready to be used. I find using a pump is a lot easier to get the amount of solution you need. It’s innovative too. That’s what I love about this. I only use this when I have a heavy full face of makeup on which tends to be on nights out or special occasions. As this isn’t easy to get hold of in the UK, I like to use it on special occasions until I can get my hands on one without the extortionate customs charges added to it. After a night out, I tend to just use this and don’t cleanse my face afterwards. After a “few” drinks and arriving back home in the early hours of the morning, the last thing we want to do is to spend ages getting ready for bed. This stuff removes makeup even better and quicker than Bioderma. 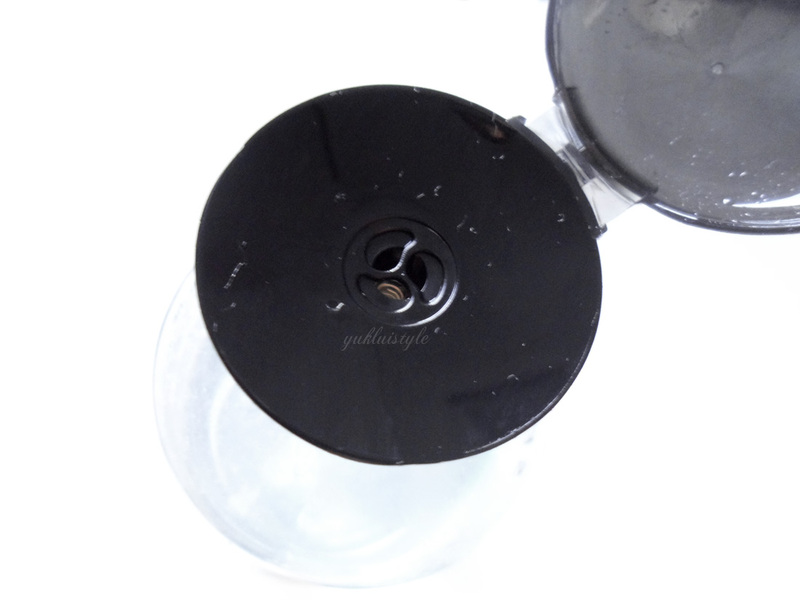 It had removed the stubborn eyeliner I always use without having to add extra pressure whilst rubbing the eyes. It doesn’t sting eyes and hasn’t broken me out nor irritated existing blemishes. Three pluses right there. My skin doesn’t feel stripped and there is no greasy feeling or residue afterwards. My skin does feel clean but I don’t 100% rely on this alone for clean skin. If I’m back home at a sensible time, I would do my usual skin care routine afterwards. If I’m home at a ridiculous time, I’ll just use this by itself. It has a slight floral scent but my nose picks up a slight alcohol smell even though it’s not one of the ingredients? I think I have a really sensitive nose. It doesn’t bother me though. I would definitely repurchase a few bottles when I’m in Canada in August. I did purchase this in Paris. It was 13,95€ which is cheaper than purchasing it in the US. I definitely need to stock up whenever I’m in a Sephora store abroad. If you was disappointed with Bioderma, this won’t let you down. Have you tried cleansing waters? I am a new convert to Micellar water, my skin has been so much better since I started using it. I will check this brand out, thanks for the review. I've never tried any kind of cleansing water before… Sounds interesting! Thanks for thr great review. I'm not a huge fan of cleansing waters as I prefer to cleanse properly but I do think they're great for nights when you're in a rush to go to bed! I've tried this probably a couple of years ago, I loved it but I've switched to using cleansing oils. I like cleansing water. 🙂 It doesn't look like much but it really cleans well! I haven't tried any cleansing water but this one sounds good one to start with. I have never tried any cleansing water. It sounds so good. It can remove stubborn eyeliners and you didn't even have to apply lots of pressure. I use cleansing waters only when I actually havent applied make up, usually at nights. been using biore micellar cleansing water for a while now and I actually prefer the other 'oil-like' cleansing liquid by orbis, not sure if you've heard of these Japanese brands. i find it easier to just pump onto hands (regardless wet or dry), rub it onto the face and just rinse off. rather than using a cotton swab for cleansing water. This sounds really good. I would love to try it out. it seems great product to try. I tried it a couple of times in the store and I love the pump lid of it. Thinking get one soon. Going to try this when my current cleansing water is running out. Thanks for sharing. ooo i am going to sephora to test this out but now i still hv many remover to finish up!